So let the games begin! Don’t forget to vote for one photo from each race! We have had some fun over the last four weeks reliving all the awesome memories from the 2016 World Triathlon Series. 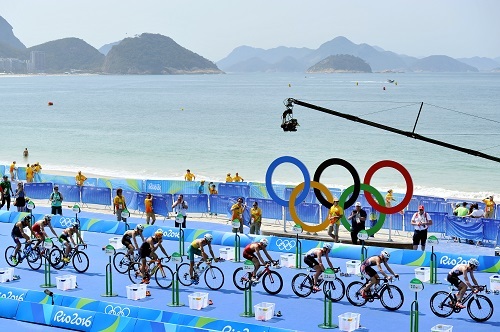 The racing was spectacular and produced some moments that will go down in triathlon history forever! 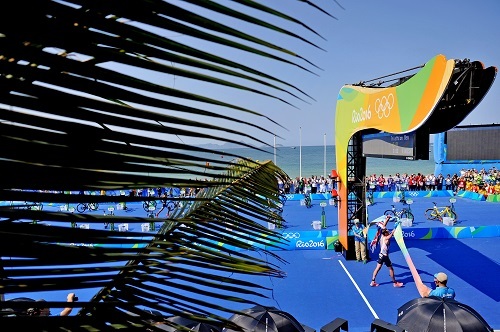 But the World Triathlon Series was not the only top-tier racing circuit that graced 2016, in fact last year we had the treat of traveling to Rio de Janeiro, Brazil to see the super humans race on the world’s biggest stage - the Olympics and Paralympics! So this week, in the last week of the photo competition before all the top photos are revealed, we take a look into Rio, first up being the Olympics. The Olympics were historical. 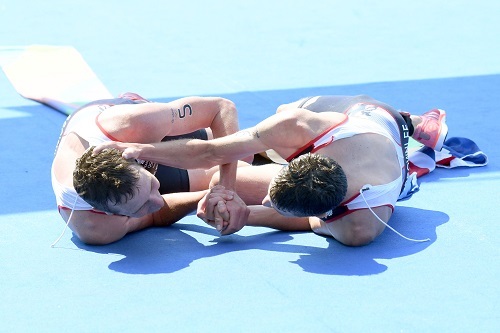 First the men raced on August 18 and we saw the Alistair Brownlee (GBR) make triathlon history by becoming the first person to win back-to-back Olympic gold. A medal that was sweetly won as he also shared the podium with his younger brother Jonathan Brownlee who earned the silver. 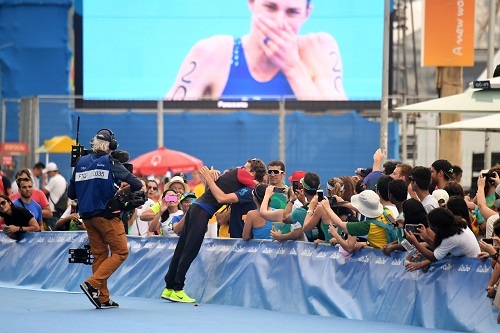 And then finishing off the podium was South African Henri Schoeman, who stunned the crowd by racing one of the best races of his life to earn the bronze! Then on August 20 the women raced. 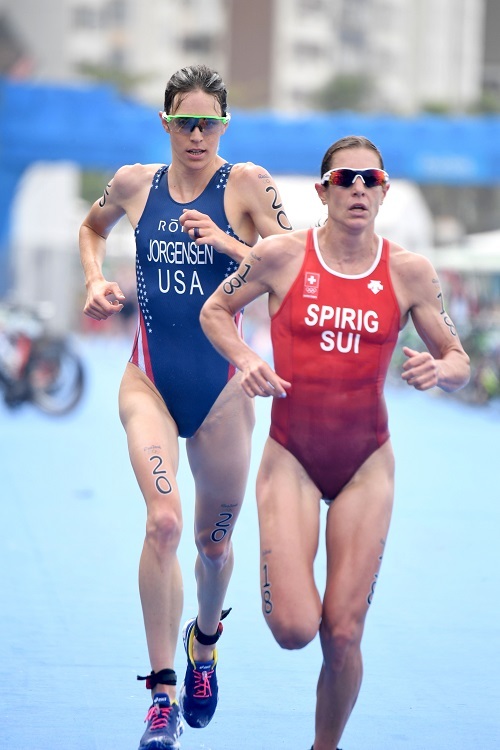 It was inspirational to watch USA’s Gwen Jorgensen realize her Olympic dream and accomplish the goal that she had been working four years for. All the while, doing so by battling an already established Olympic great - Nicola Spirig (SUI). 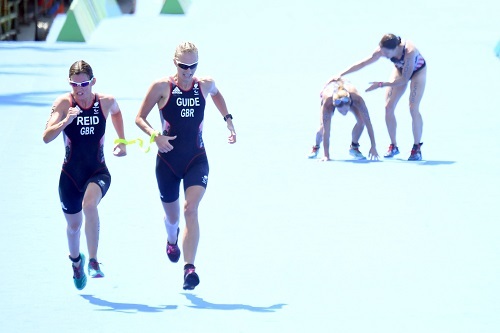 Then in an effort for the bronze, two British teammates and friends had to gun it out for the final spot on the podium, which was awarded to Vicky Holland. Good luck voting on these photos. The Rio Olympic Games were shot by Delly Carr and Janos Schmidt. 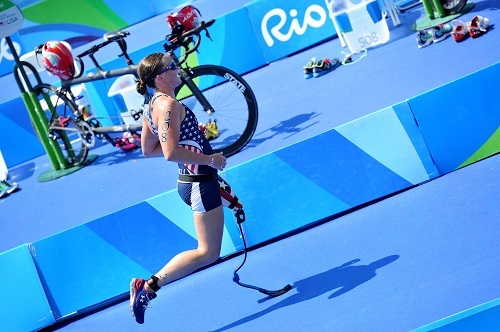 It was a moment in the history books to see paratriathlon debut in the Paralympic Games. Sport classes PT4, PT2 and PT1 competed for the men, while the women were represented by sport classes PT4, PT2 and PT5. And to witness the first athletes to become Paralympic Champions was something remarkable and unforgettable. It was a joy to show the world how amazing paratriathletes are and how talented they are at the sport. 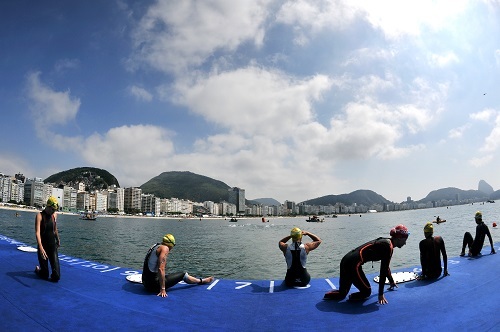 The world of paratriathlon is only going to grow and the Paralympic race in Rio was the first step. 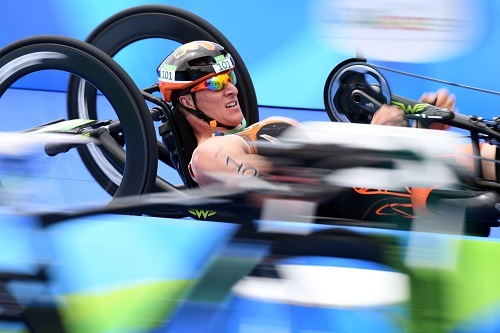 The Paralympic photo galleries were as impressive as the races, so to pick only five to be nominated for the best photo was a challenge in of itself, so picking one will be a grand feat, but vote nevertheless! 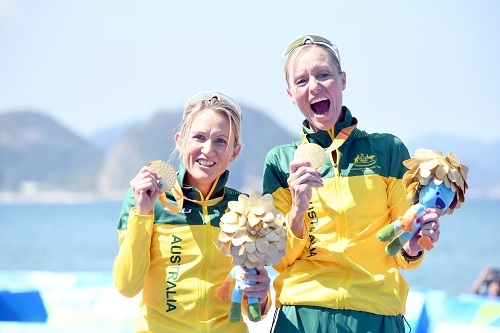 The Rio Paralympic Games were shot by Delly Carr and Janos Schmidt.